January & February. . . I started the year by doing…not much to be honest, January/February is always a bit of a time and I spent it kind of re-adjusting after a busy festive season. I did take the plunge and get my hair lightened though, I have really enjoyed my hair journey this year and my lovely friend and hair stylist Natalie (who owns Shirlaw Sanctuary which is the most stunning hair salon in the middle of the countryside, oh and she has the most gorgeous little dog that I am always trying to sneak into my handbag- no luck so far!) has really helped me to heal and build my confidence back up after a rough few years. Hair is such a powerful way to express yourself and I definitely feel better when I’ve been to visit her! 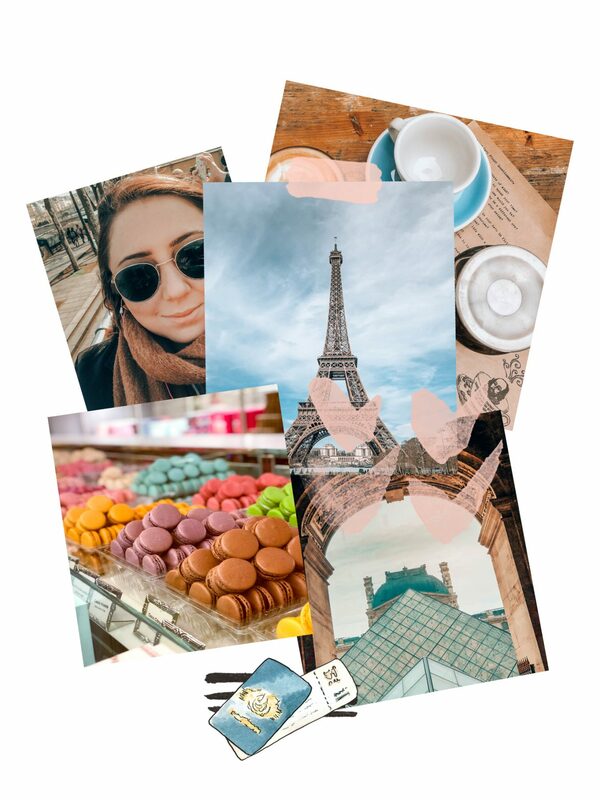 In March I took my first trip abroad in many many years, I braved the Eurostar (which was not the best experience for someone with an anxiety disorder tbh) and headed to Paris. I’m actually kind of embarrassed to say I’d never been as it’s so easy to get to, but I just never fancied it? I think I thought it was overhyped and was just going to be a bit meh, but honestly I just absolutely fell in love with the city and the Parisian style which really inspired me to make some massive changes to my wardrobe as the year progressed. I’m already planning to visit again in 2019! We had a bit of a heat wave here in the U.K and living in Kent I headed straight to the beach and spent lots of time just relaxing in the sunshine. Spending so much time by the sea made me feel so calm and relaxed, I’m sure all of that vitamin D helped my mental health too and it made me start thinking about tentatively booking a trip somewhere warm. I also went to London Zoo for a family day out, it was one of the hottest day’s of the year and at one point I had 2 battery operated fans pointed at me but it was the best day of they year for me. I got to take my nephew to see all the animals and it was so special for me to see him enjoy somewhere his Dad and I used to visit as kids so much. We finished the day by the London Eye whilst my cousin and nephew did one of those speed boat adventures along the thames. We met up with my Dad and just sat in the sunshine people watching, easily my favourite memory of 2018. 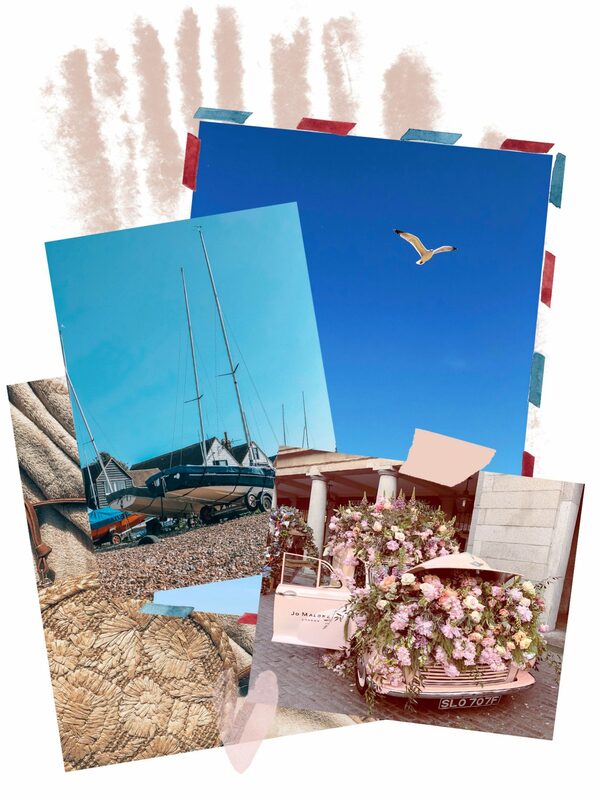 At the beginning of May I spent some more time on the Kent coast, I have a particular love for Whitstable so there were copious afternoons spent eating fish and chips on the beach there, it was so nice to be able to spend that time with family and just work on my health and wellbeing. 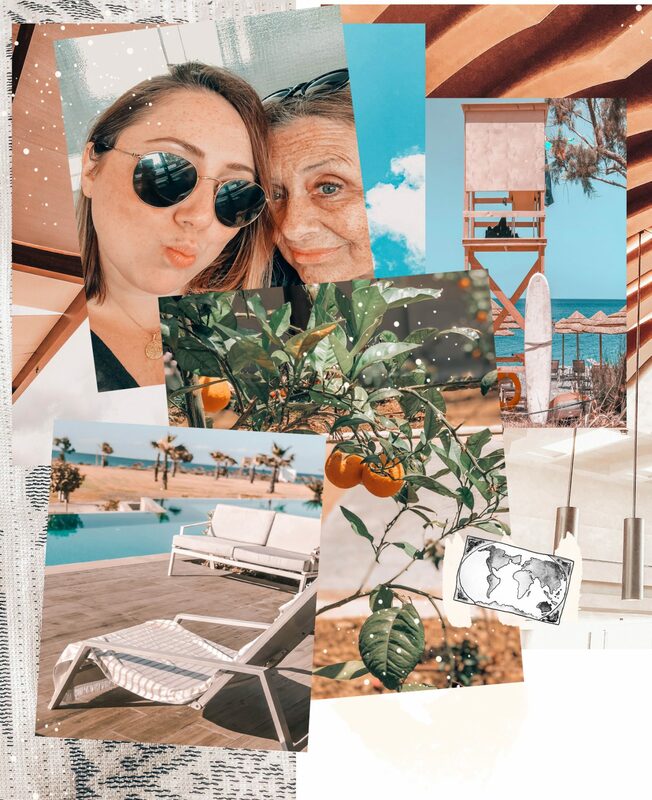 By the end of May I had started to feel a bit more confident and so my Mum and I decided to book a trip to Greece for a week in the sun. We had heard some good things about Crete and even though I backpacked around Greece when I was at Uni, it’s one island I never visited. We grabbed a last minute deal and set off on a little adventure…. July & August. . .
July was a funny old month for me. Holiday blues hit me pretty hard and I actually had a few mental health set backs. It’s always tough when you’re having a good mental health month and then you hit a road block! I went away for a few nights to a spa and had such a lovely time, being back in the water and spending some time being pampered was really lovely. I actually had my first full body massage in a long time which was….ok, I won’t pretend I enjoy the whole being naked and massaged by a stranger thing but they were very sweet when I explained I have PTSD and sensitive to my situation. August, my birthday month, arrived and I really wanted to spend some more time in nature. I had read a little about Port Lympne which is an animal conservation reserve in Kent. I think it’s probably the nearest I will get to going on a real safari for (quite!) a while and it was a truly unique experience. The reserve isn’t designed for your comfort but for the animals, and I love that, it’s all hills, rugged footpaths and vast open space and it really feels like you are in the middle of nowhere. We went on the safari tour and the animals just wandered around freely (even in front of our little jeep causing a few traffic jams!) 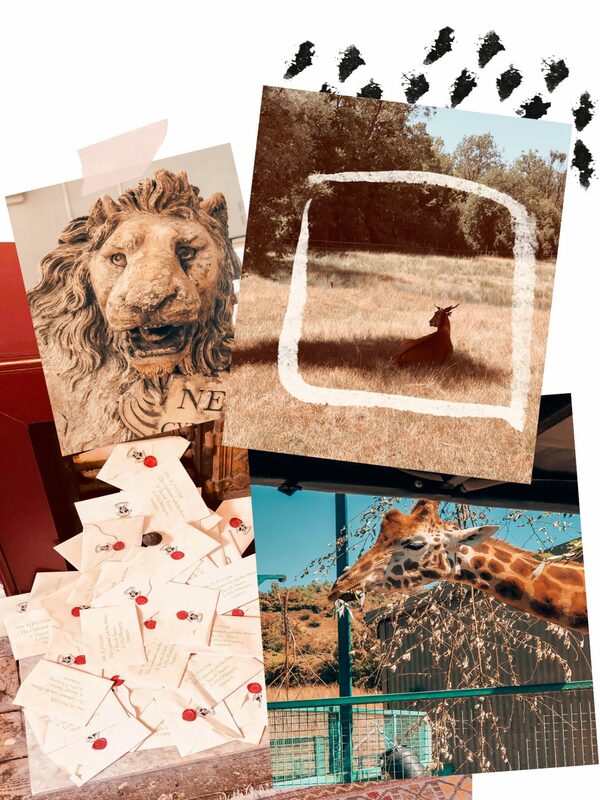 They have lodges you can stay in there too so I think that’s something I will be doing in 2019, they are also building a giraffe manor type experience which looks amazing! If you haven’t been and you like the idea of seeing animals in a more natural environment than in a normal ‘zoo’ like enclosure then I would really recommend it. September & October. . .
September hit me pretty badly if I’m totally honest. 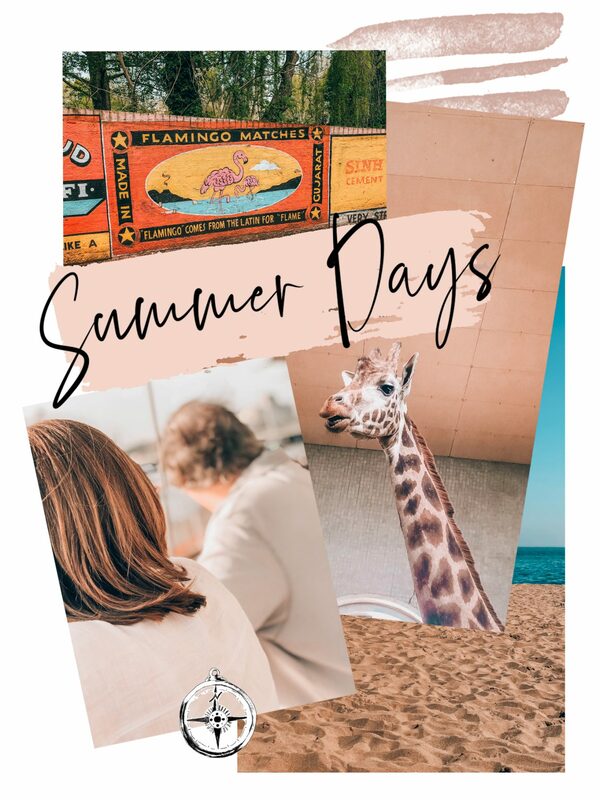 My parents went away and I had the house completely to myself which I was really looking forward to, I had plans to have a big blog revamp and just spend some time on myself getting a routine and making plans for the direction of my blog and social media. But instead I got pretty sick with stomach flu and got the worst eye infection of my life. It sounds so trivial but my eye swelled up to double it’s size and was so painful I couldn’t sleep properly. It made doing anything completely impossible and having mild vertigo, I felt dizzy all the time without my vision. Honestly it was a rough month for me and by the time my parents came back I was a wreck. My medication had really not hit me at all as I had been so sick and I was in withdrawal so it wasn’t pretty. It took me about 3 months to start feeling ‘right’ again and it was a struggle and something I am still dealing with. 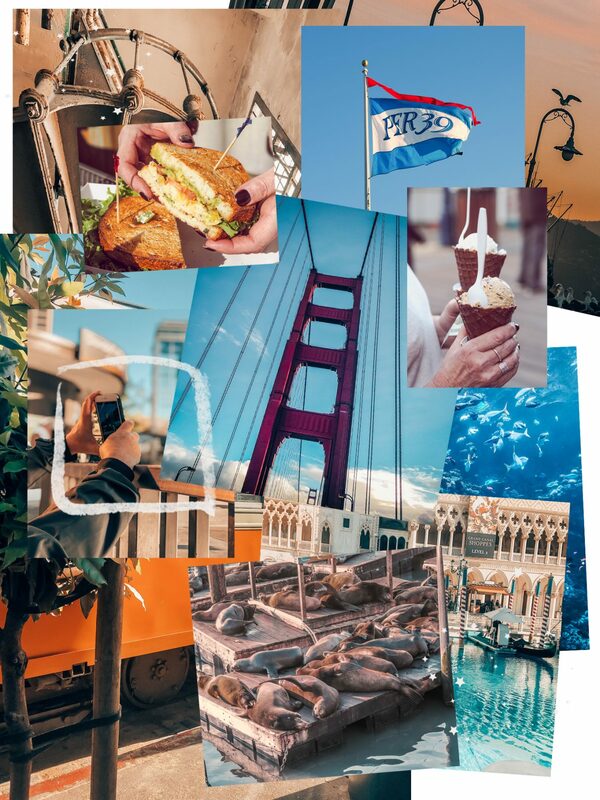 In October I was still reeling from a month of bad health and got an email alert for v. cheap San Francisco flights, it’s somewhere that has been on both my Dad and My bucket lists for a long time and we decided to just go for it and book a trip for December. It was great to have something to look forward to but America was a lot further than Paris or Crete and I will admit I was feeling quite nervous about that amount of travel with my medication all over the place. I went away for a few nights to my favourite Spa with my Mum and we just swam, walked along the river and ate really good food, it was such a nice break and helped get me into a sleeping pattern again which was great. 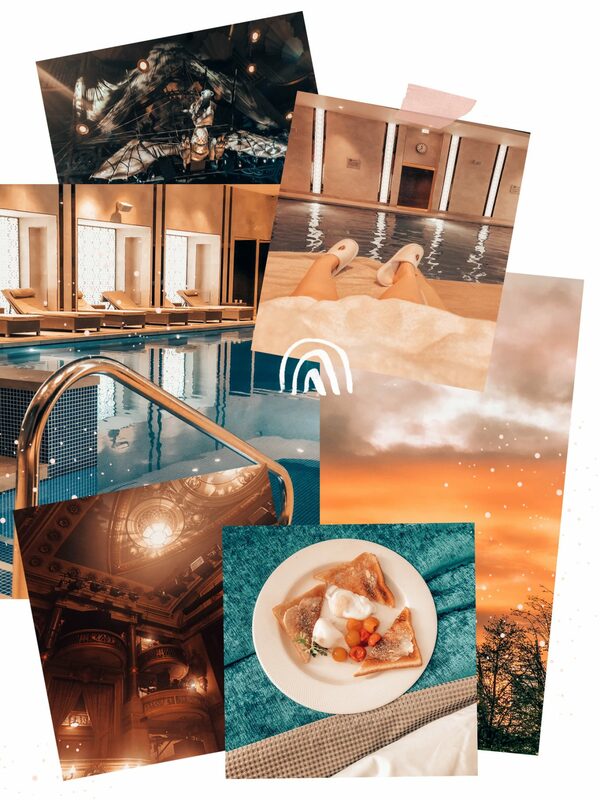 The little spa trips are quite good for me as I have to pack and travel through busy stations which helps me get into the routine of being around busy places (good for airport anxiety!) I also went to the theatre twice to see 42nd street and Wicked which were both just brilliant, honestly I left feeling full to the top with musical joy! November & December. . .
November crept up on me and suddenly I only had weeks to prepare for San Francisco, we decided to do a few nights in Vegas too so you can imagine my travel anxiety going crazy (pardon the pun!) After deciding to go dark again for winter (big mistake!) I went back to Natalie who fixed my hair and I felt more like myself again, seriously how much does hair affect your confidence?! I spent a lot of the month buying and returning things on ASOS for my trip and doing some home decor stuff and then suddenly it was time to go! We got back 2 weeks before Christmas and went into operation Christmas mode pretty much straight away, but we all had horrific jet lag and couldn’t seem to shake it (I’ve only just got rid of mine!) which was followed by a nasty chest infection for my Dad and so a pretty quiet Christmas day for us (how many times did I just type Christmas) I actually felt bad because I struggled to get into the festive spirit this year but I saw quite a few people saying the same online so I think it might have been something a lot of people experienced this year? 2018 in review. . . So what to say? I have been incredibly fortunate to have the chance to continue the recovery process through travel and the unwavering support of my loved ones. This year has been especially important for me as it’s been the first time I’ve actually started to move forward. I no longer see a light at the end of the tunnel, I am moving out of the tunnel completely and started a whole new journey which is both very exciting and very scary. Travel has definitely been the biggest turning point for me, it’s allowed me to experience things outside of my bubble and to start enjoying myself again which has been really important for my recovery. I am finishing 2018 with an overall feeling of sadness that it’s coming to an end and gratefulness that I got to have such an incredible year of growth and healing with the people I love. So what does 2019 hold in store for me? Well I have found writing this post has been a really great way to find out what has helped me this year and I have noticed that being near animals and water are both things that have really brought me peace and happiness in 2018. These are things I was to continue to experience in 2019 and I am tentatively planning on taking some very small courses in things I am passionate about like animal and travel photography. I am also going to be revamping my online space to allow me to show my creative side more. Blogging has been quite hard for me as I don’t like the idea of moaning online about my problems but I also hate the idea of being inauthentic and presenting a different version of myself for likes and comments. Self-care has also been paramount and I will be focusing a lot of energy into that in 2019 and sharing that with you here. I am finally at a point where I am able to start sharing myself and my passions a bit more and it’s something I am quite excited about! Thank you 2018 you’ve been an absolute babe.